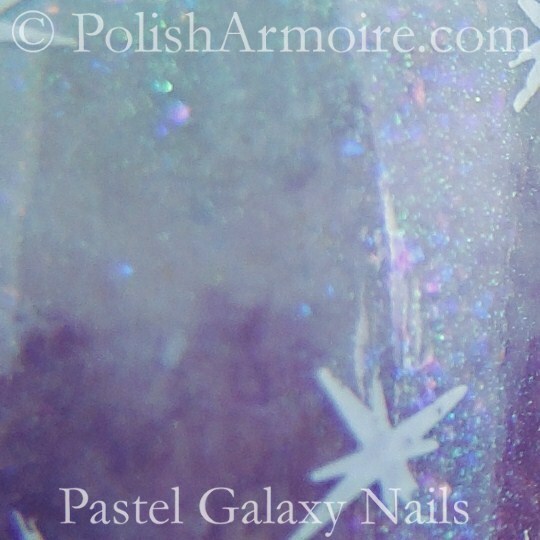 This week’s PANZ Challenge theme is Galaxy Nails! I have never attempted galaxy nails before so I wanted to dip my toe in with a pastel twist. These didn’t turn out quite as galaxy like as I had hoped but I love how pretty they are. They remind me of what I imagine the sky in My Little Pony would look like. I stamped the stars with the Konad m14 plate but had a bit of trouble with the stamping as my Konad white polish needs thinning. I topped it off with two coats of Cult Nails Doppelganger to pull the gradient together and give it a subtle rainbow micro-shimmer as you can see in the macro below. 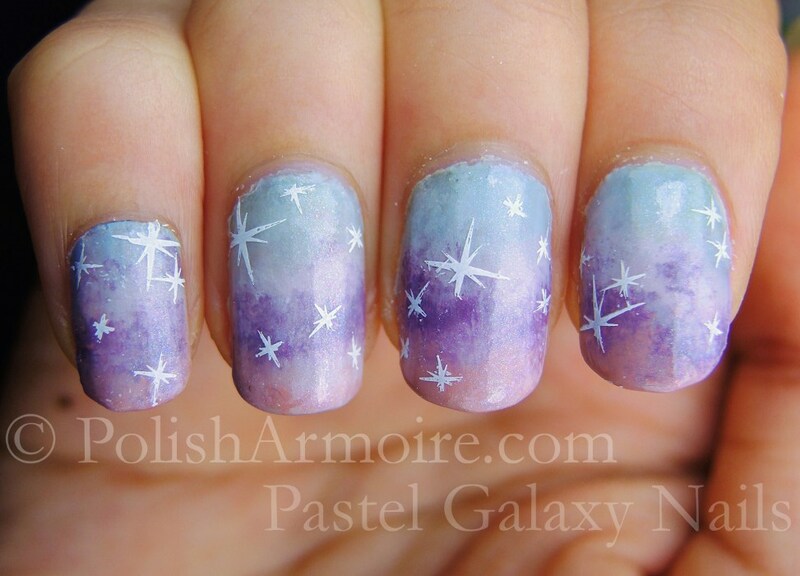 Tags: Galaxy Nails, Gradient, m14, Pastel. Bookmark the permalink. Previous post ← Rainbow Skittle Glitter Nails – BLING!